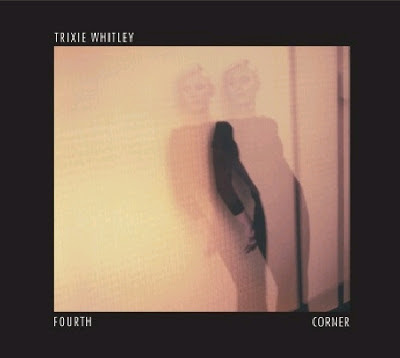 Discussions Magazine Music Blog: TRIXIE WHITLEY/The Fourth Corner: Available January 29th, 2013! TRIXIE WHITLEY/The Fourth Corner: Available January 29th, 2013! On January 29, 2013, Trixie Whitley will release her eagerly anticipated debut LP, Fourth Corner, in the United States on Strong Blood Records. Fourth Corner was recorded in New York with producer/keyboardist Thomas Bartlett (aka Doveman, who's also worked with Glen Hansard, Antony and the Johnsons, Grizzly Bear and the National), engineer Pat Dillett (David Byrne, St. Vincent, Mary J. Blige), with string arrangements by Rob Moose (Antony, Bon Iver). Whitley burst into public consciousness in 2011 as the lead singer of Black Dub, super-producer Daniel Lanois' (U2, Bob Dylan) project, blowing people away with a voice and presence beyond her now-25 years. She has lived a nomadic life: born in Belgium, she split her time growing up there and in New York but also frequently visiting family in France, Texas, and Mexico. Her mother came from an artistic European gypsy family, filled with musicians, painters, writers, and sculptures, while her father, renowned singer-songwriter Chris Whitley, thrust her into the world of music as a toddler when she joined him onstage in Germany at age three. With the Black Dub shows, countless solo gigs in New York and Europe, and buzz-building performances at festivals like Bonnaroo, SXSW, and Celebrate Brooklyn, Whitley has become one of the most talked about new artists of 2012. She'll embark on her first solo tour of the U.S. in November, bringing a live show that is a cathartic, emotional wallop. Before that tour begins, she will be performing at New York's McKittrick Hotel at this year's CMJ.